Fully written in C#.NET, this .NET barcode encoder & creator is compatible with Windows XP, Visual Studio 2005, .NET Framework 2.0, and all above versions, 32 or 64 bit. 1D and 2D bar codes generated & encoded are compatible with ISO/IEC barcode image specifications. All linear and 2D barcodes generation features are compiled into a single .NET barcode generator & creator library dll. As for two-dimensional/2D barcodes, QR Code, PDF417, Data Matrix, and Aztec Code are supported. 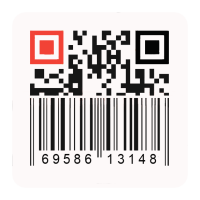 For linear/1D barcodes, Code 39, Code 128, EAN-8, EAN-13, UPC-A are supported. Simple to add .NET project reference to .NET barcode generator library dll, advanced bar code generating features are integrated. We provide mature .NET APIs for high-quality bar code image encoding & drawing. Each barcode symbology has its own properties that can be customized for special use. And our barcode generator library for .NET allows you to set and define barcode properties in your .NET barcode generation application. All linear & 2d bar codes can be generated and exported as image files in your .NET desktop and web applications. In all, raster image files like JPG, JPEG, TIFF, PNG, BMP, and GIF are supported. Moreover, you can also encode barcode to a Byte array, Stream object or Bitmap object in .NET applications. CnetSDK .NET Barcode Generator & Creator dll is a stand-alone .NET library. It includes mature 1D & 2D barcodes generation & encoding features and can be used independently in your .NET barcode generation application. No other .NET assemblies or libraries are required for your application development. If you've already downloaded the free trial of CnetSDK .NET Barcode Generator SDK, you can directly see the demo project in it or refer to this online tutorial for how to integrate and generate barcodes in your .NET application. On this online tutorial, you will see advanced .NET APIs for barcode generating & encoding to a String, Stream, Bitmap, and Byte Array. Also, all linear and 2d barcodes properties are listed on this guide. Please Note: a watermark ("www.cnetsdk.com") will be shown on each created barcode image randomly if you are using the free trial package. We also provide Visual C# & VB.NET demo code examples for your quick evaluation of our .NET barcode generator SDK in .NET Windows desktop application and ASP.NET web application. Please see online tutorials here. Three license types are provided for you to choose from, namely One Server License ($699), Group Server license ($1,299), Unlimited Server License ($2,399). Each of which permits the unlimited developer to use (copies of) CnetSDK .NET Barcode Generator SDK to develop the unlimited number of derived works that can be deployed to 1, 2 to 8, or unlimited server(s) respectively. Please note, if your derived work is a single-user client application, the Group Servers License is required. And it grants you to use CnetSDK Software to develop and install unlimited (copies of) single-user client application to unlimited client desktop PC's. You may see more licensing details or make an order now.